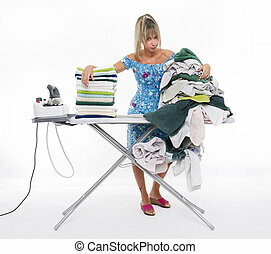 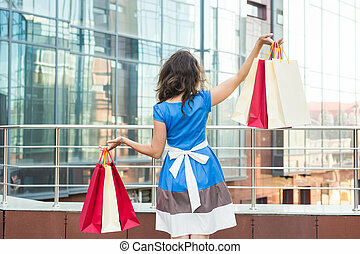 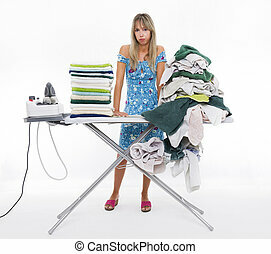 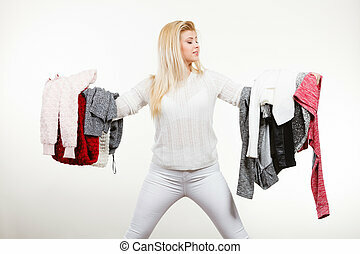 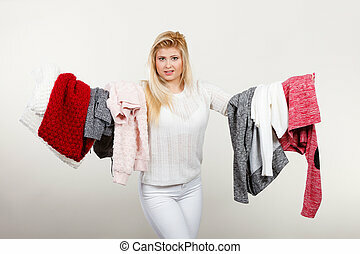 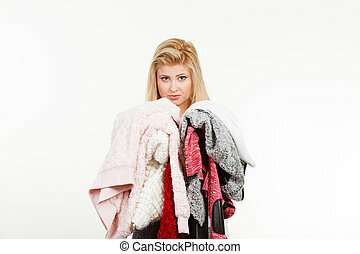 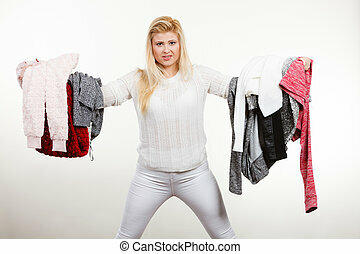 Woman holding many clothing. 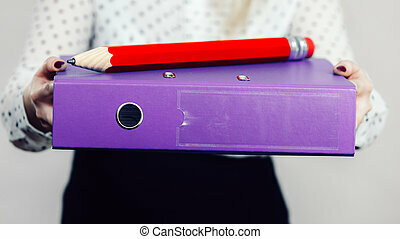 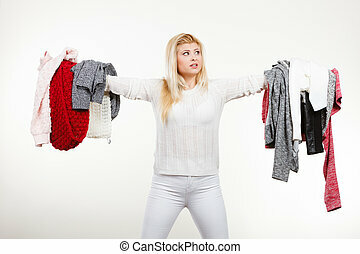 Fashion, clothes dilemmas concept. 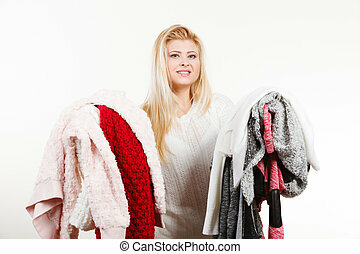 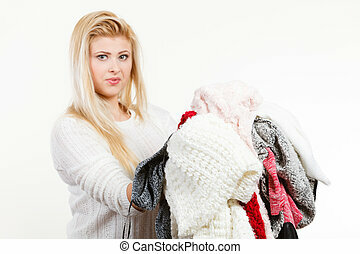 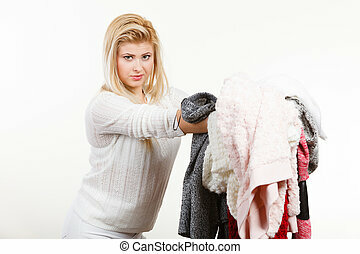 young blonde woman teen girl holding big pile of warm winter clothing, cant decide what to wear, toned image. 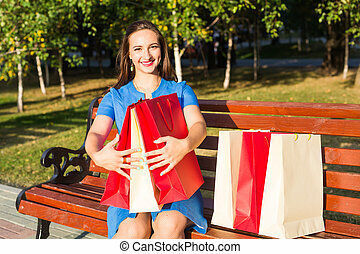 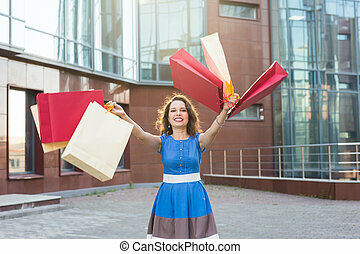 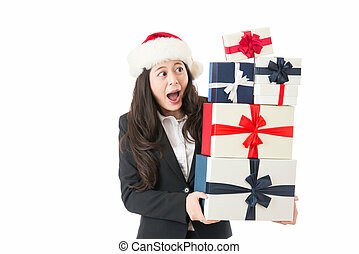 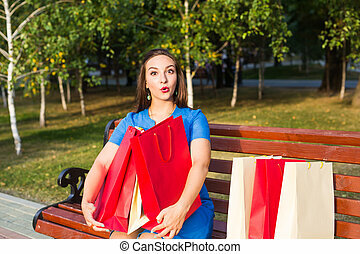 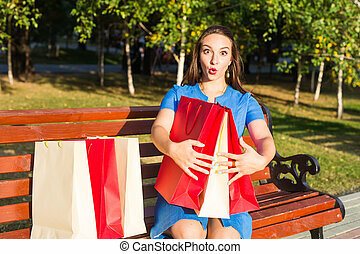 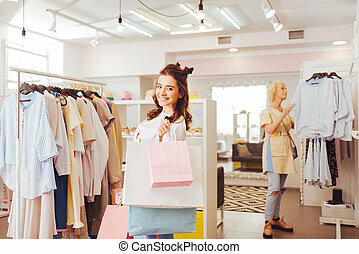 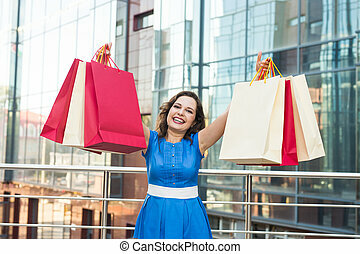 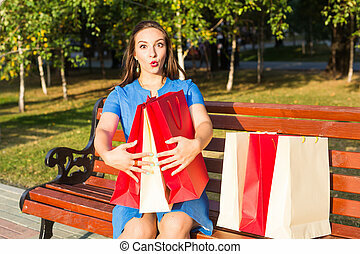 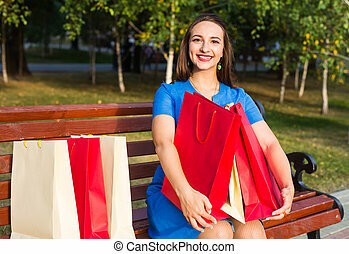 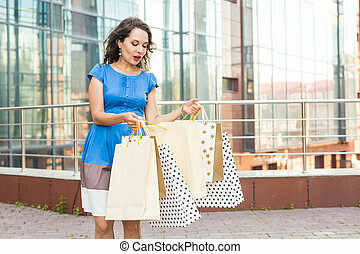 Christmas shopping excited business woman holding many Christmas gifts in her arms wearing santa hat and winter clothing. 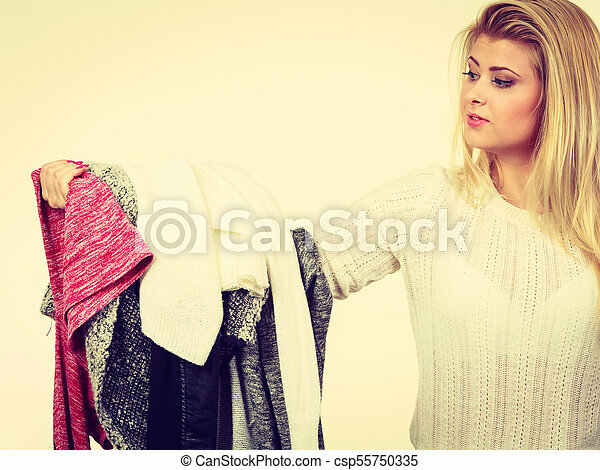 Beautiful young female model isolated on white background. 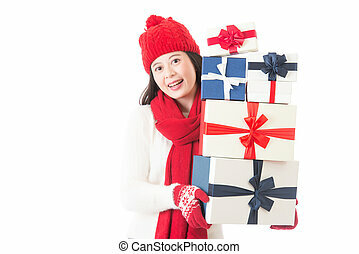 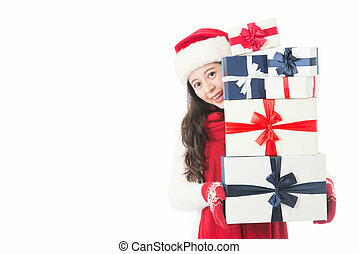 Christmas shopping asian woman holding many Christmas gifts in her arms wearing santa hat and winter clothing. 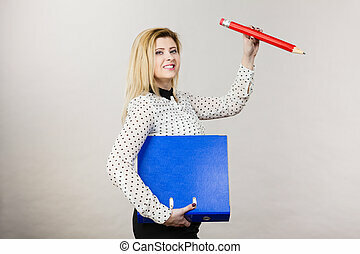 Beautiful young female model isolated on white background. 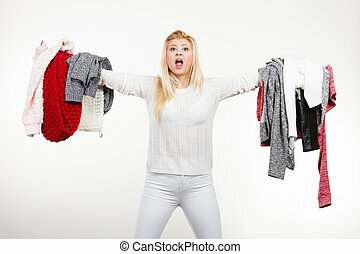 Fashion, clothes dilemmas concept. 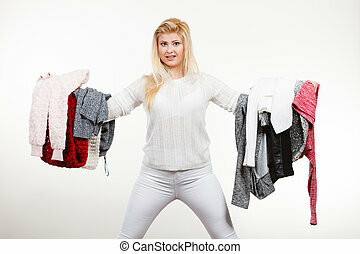 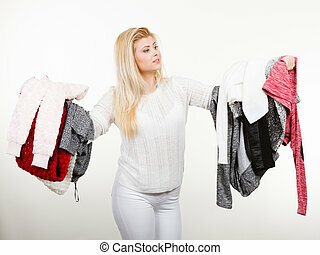 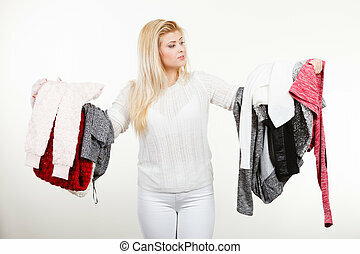 Woman holding big pile of clothing, cant decide what to wear. 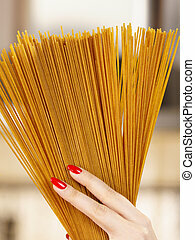 Woman hand holding many long pasta macaron. 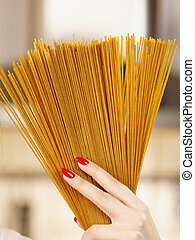 Healthy food for dieting concept. 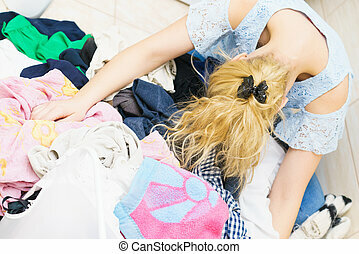 Sad blonde woman being surrounded by colorful clothes. 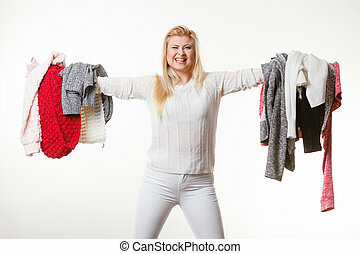 Female having many clothing. 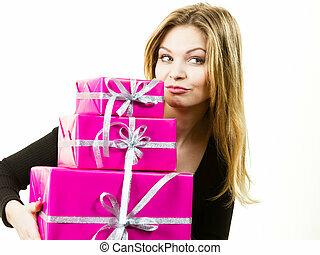 Happy positivie young teenage woman holding big pile of pink gift boxes. 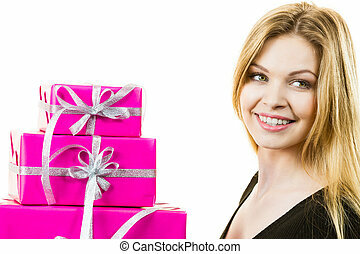 Female receiving many presents.